Equipping yourself right does not end at buying the right kind of running shoes. 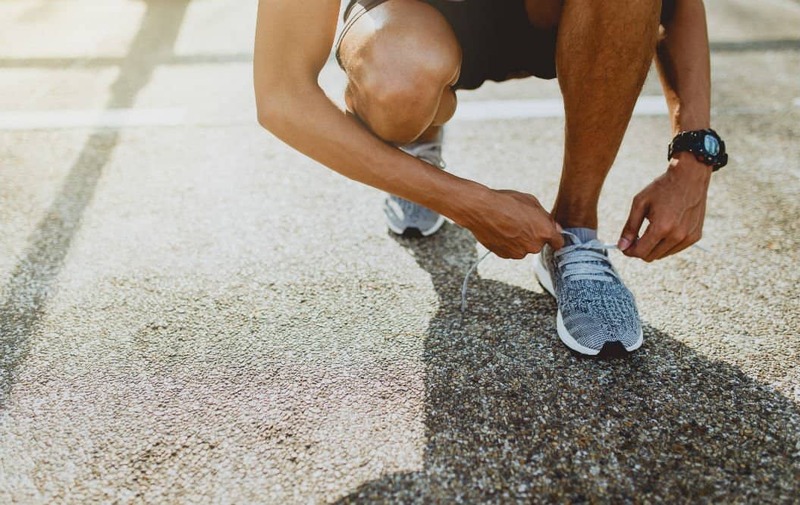 Most running shoes come pre-laced, but most runners are unaware that it is essential to re-lace them before wearing them. There are many lacing techniques for various foot structures; hence, we’ll show methods on how to lace running shoes for numb toes, toe pain, and different foot structures. Why Does the Feet Numb? The numbness of the feet is never a normal condition, but people commonly experience it. It may cause other foot problems such as foot ache, knee injury, improper posture, and even long-term injuries. If you constantly complain about your shoes feeling too tight, you could suffer from feet numbness. This might be because your shoes are putting too much pressure on the top of your foot or to your toenails. The numbing of the foot or toenails is most likely related to the shoe lacing, fit, and shoe style. Buying a good pair of running shoes or any pair of shoes is not enough to run in comfort and at best. Experts recommend that the shoes must have a thumb width from the longest toe to the front of the shoes. It is also necessary to consider wearing running shoes with a high-volume foot, as low-volume foot shoes can cut off the blood circulation. For high-arched foot, shoes with high-volume foot space are recommended. This is because this kind of foot structure is usually the one that suffers numbness of toes and claw toes. The way how you lace your running shoes can also have a big effect on your comfort and performance, as well as the overall fit of the shoes. There are various lacing techniques for high arches, shoes that feel too tight, toe pain, numb toes, slipping heels, wide forefoot, narrow foot, and high midfoot. How to Lace Running Shoes for Numb Toes and Toe Pain? Numbing of toes is caused by tight spaces in the toe area of the shoes. While choosing the right shoe size, this is unavoidable especially for runners with big toenails or wide front foot. In order to adjust the shoes for the toes, here is an easy lacing technique. Start the lacing from the big toe to the top of the rear side. Then, thread the other end of the shoelace through each bottom diagonally and through the top parallel to the succeeding hole. In the end, tie the shoelace up as usual. In this shoe lacing technique, the toe cap will be lifted, and there will be more space for the toes. Thread the shoelace through the eyelet nearest to the toe. Grab the end and string it through the opposite eyelet closest to the ankle. Using the opposite end, thread the lace across the other eyelet that is close to the toes. Keep doing the criss-cross lace as usual. On the final stage, you should achieve a diagonal lace that can be easily adjusted or lifted to provide more space for the toes. Thread the shoe in a standard crisscross pattern. Next, string the shoelace through the sides only. Finally, tie the shoe up through the consecutive two eyelets or more as usual. Thread the shoelaces in a parallel fashion starting from the top. Thread by lacing under every other eyelet. Finally, tie up the shoe as usual. Lace the shoe as usual up to the second to the last hole. String it straight up into the last hole. Thread the lace through the hole on the opposite side. Start by threading the shoes in a traditional criss-cross pattern beginning at the top. Skip one eyelet and continue lacing in a criss-cross fashion. Finally, tie up the shoelace. It is essential to properly lace the shoes in accordance with the needs of your feet. How to lace running shoes for numb toes can be easily achieved with the aim to lift the toe cap; hence, giving toes more space. If you are suffering other uncomfortable issues with your running shoes, it is best to determine your running style and foot structure. With this information, you can identify the right shoe lacing technique to help you adjust the fit of your shoes in accordance to your foot structure. Buying the shoes that best match your biomechanical physiology is the ultimate key to running at your best and achieving your goal. This is especially important for long-distance runners and marathoners. If you are a beginner, this is the smartest way to start with, so you will love running and keep you on the right track.